I have lived in the Reno Tahoe area for 40 years, and I am very familiar with landscape locations that are not so frequented by people. I am also familiar with the overly photographed hot spots at Tahoe, and other areas in the Sierra Nevada, if that is what is desired. I do like to get my own take of iconic landscapes but I don’t seek that out. I personally try and capture images that are not common and that are unique, and if they are common areas, I try and take something different away with me if possible. Popular spots pose a challenge with trying to capture something original due to the zillions of photographs already captured at these iconic locations, at all points during a 24-hour day, throughout all seasons. It takes expressing yourself, with your feelings, mood, perception, connection, and minds eye, to come out with something a little different in that scenario, and in general. I can assist with hands on guidance with all of these topics, shooting techniques, equipment, and more during the workshops. If you are a serious amateur, advanced, or pro photographer, and you just need a tour guide, that works too. I offer tours and workshops around the Lake Tahoe area, various other locations in the Sierra Nevada such as the Carson Pass, Ebbots Pass, Monitor Pass, Sonora Pass, Donner Pass, Lakes Basin, etc.. I also offer Mono Lake and Eastern Sierra Nevada tours and workshops during winter, spring, summer, and autumn. One on one, or small group workshops and tours, are offered at any of the locations listed above, or any other areas in the Sierra Nevada that you might have in mind. When deciding between a tour, and or workshop, please consider your photographic experience level. My workshops are targeted toward educating, assisting, and guiding, while tours are targeted toward guiding clients to areas they are not familiar with so to assure they take home new and unique photographs. Please contact me through my website if you are interested in a tour or workshop. We can go over your skill level, what you are looking to learn, and tailor the workshop to your needs. I shoot typically during late afternoon, sunset, twilight, and on into the night. I work full time during the week however weekends are usually open, as well as weeknights after 5:00pm. • $150 - Per hour. • $ 500 - Four hour, discounted workshop. Group workshops are limited to four people. This assures each person is getting the most that they can from the workshop. A minimum of two people and two hours, are required for a group workshop. *A group workshop can be tailored to your needs, and can be a multi day workshop, but this will have to be discussed and planned out around our schedules. • $100 - Per hour. • $ 350 - Four hour, discounted workshop. Group photo tours are limited to eight people. A minimum of two people and two hours, are required for a group photo tour. *A group photo tour can be a multi day tour, but this will have to be discussed and planned out around our schedules. 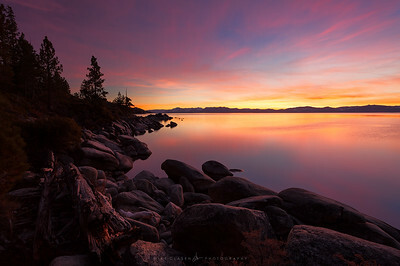 Schedule of upcoming Lake Tahoe landscape photography workshops coming soon. 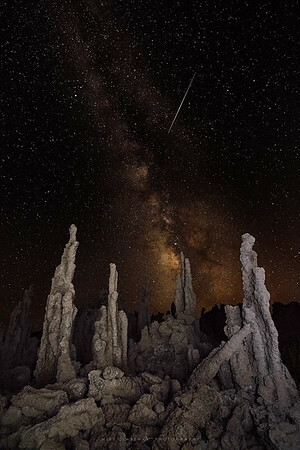 Schedule of upcoming Mono Lake landscape photography workshops coming soon.